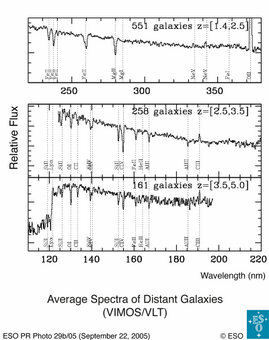 Below you'll find images from research centers and observatories across the internet showing examples of actual spectral data obtained from stars and various stellar objects. A number of these sites offer interactive education on the subject which are designed to enhance online learning opportunities. These sites interact with the user usually through either a text-based or graphical user interface. 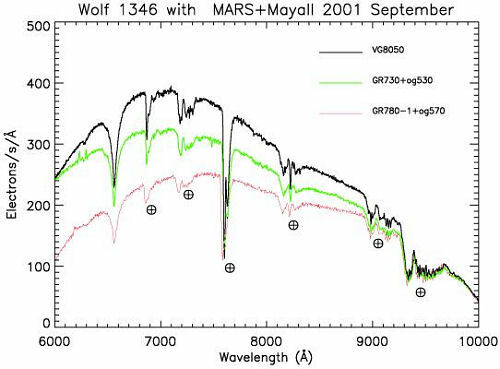 Above is a graph of the spectral data of Star TYC 2136-175-1 obtained by the Astro-2 HUT survey. Shown below is an image obtained from the Aladin desktop applet of the star in color (RGB). 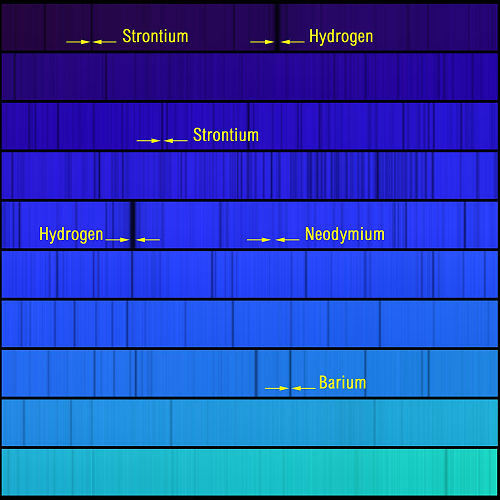 Here is another spectra image from the NOAO website with the spectrum narrowed in the blue wavelength: "The absorption lines of the elements hydrogen, barium, neodymium and strontium are labelled on this section of the spectrum of star HD126587". 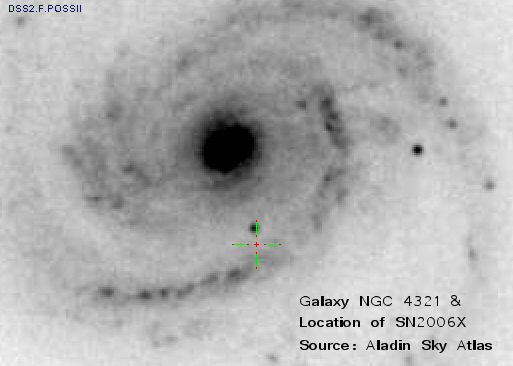 Below is another image of HD126587 from the Aladin Sky Atlas which lists this star as having a Gw spectral type. 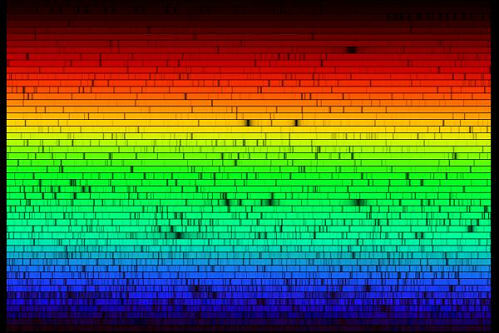 Our next image is interesting in that it shows the spectrum of star HD100623 in "raw" format. 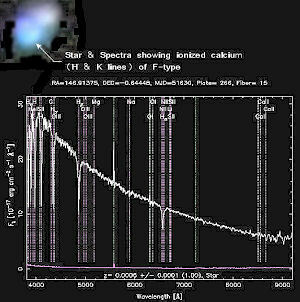 This image is from the ESO website: "A HARPS untreated ("raw") exposure of the star HD100623, of the comparatively cool stellar spectral type K0V. The frame shows the complete image as recorded with the 4000 x 4000 pixel CCD detector in the focal plane of the spectrograph. 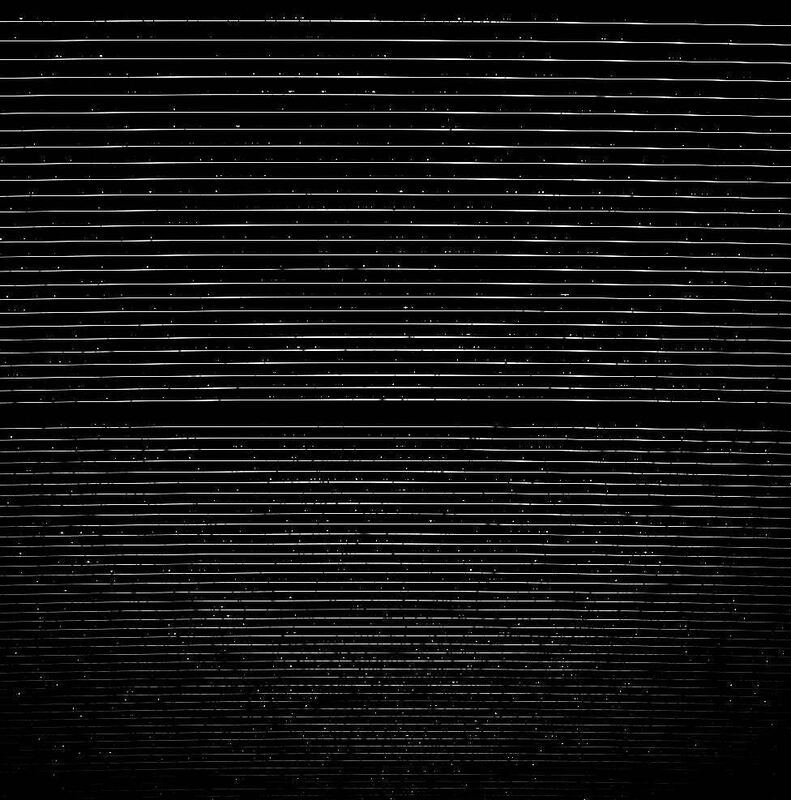 The horizontal white lines correspond to the stellar spectrum..." Click on image to open a larger version in new window. 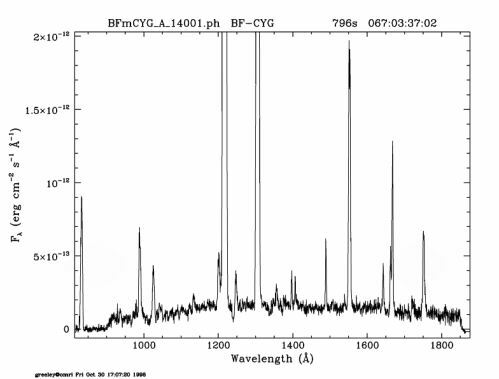 Below is an image from the ESO website of HD47536, a spectral type K0III star. This particular star is very interesting in that it has been a recent addition (2003 & 2007) in the Extrasolar Planets Encyclopaedia. The term Extrasolar Planet refers to a planet beyond the Solar System that is orbiting around another star. Extrasolar planets are one of the more recent astronomical studies (1990 onwards) that have begun to pick up serious momentum and are possible canidates regarding the search for life on other worlds. See the The Extrasolar Planets Encyclopaedia for the catalog of extrsolar planets discovered todate. 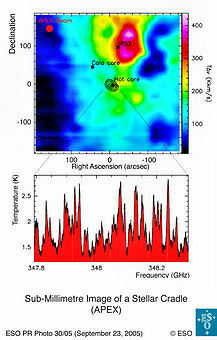 Stars are not the only stellar object for which spectral research and data is collected and analysed. Nor are the survey missions confined to just the visible light spectrum but cover the full range of light, such as ultraviolet and infrared. 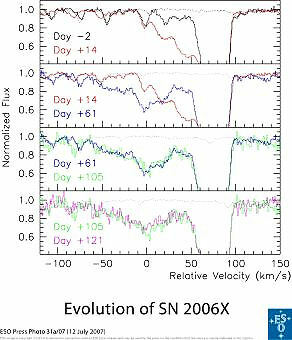 Below are examples of other stellar objects and their spectra. See Supernova at Wikipedia for more information on Type 1a supernova. See Wikipedia as a starting point for further reading regarding extrasolar planets. Sloan Digital Sky Survey Educational pages for all levels - very well done.